Registration open until April 24th. A self-paced, online adventure - perfect for seasoned Facilitators, newly-trained Facilitators and beginning SoulCollagers. Four suits. New perspectives. Loads of learning and fun. Enjoy a being part of an online learning cohort of other SoulCollage® enthusiasts for 4 - 10 weeks (your choice!). Seena Frost designed the SoulCollage® process to include Four Suits and the Transpersonal Cards. It is the voices of the Four Suits that guide us with distinct perspectives and positions to comprise our wholeness. They are the Four Winds, the essential elements, the perfect recipe for transformative alchemy. Join an international group of Facilitators and other SoulCollagers who are digging deeply into the Four Suits. With this advanced course, learn to get the most from this wise, meaningful structure of the deck. Take inventory and organize your Neters into helpful, cooperative categories. At your own pace, you'll develop new perspectives and enthusiasm for the Suit structure in self-knowledge and healing. With Michele's Card Games approach, you'll find deeper meaning within individual cards and among interrelated cards. Honor the unique voice and perspective from which each card speaks. 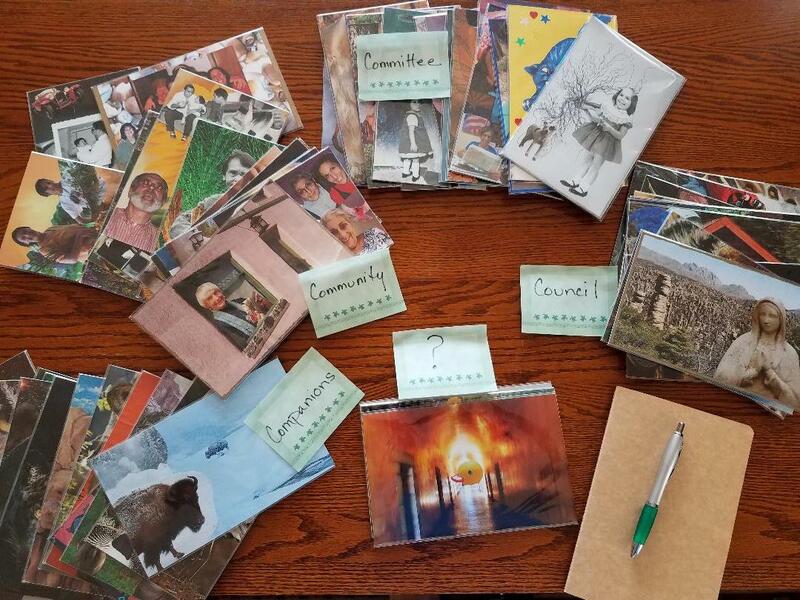 This journey is for anyone who loves SoulCollage® and seeks to further incorporate the Suits in their practice or facilitation. You'll come away with new ways of creating, interpreting and speaking from cards. Facilitators will build new foundations to share the magic of the Suits with others by uncovering profound and provocative examples from their own decks. On March 15, or whenever you register after that, you'll receive by email a set of four written guides including suggestions for explorations with your own cards (pdf file). You'll be invited to participate in a lively Facebook Group to share your experiences, ask questions, and see what others are discovering. Each module will provide a brief review of a specific suit, suggestions for identifying Neters in that suit, examples of relationships with other suits, at least one "mythbuster," and ideas for new cards that may be awaiting you. LET'S TALK: In early April and mid May, join an optional 75 minute teleconference discussion with your questions and comments. Dr. Michele Manos will be your enthusiastic guide for this course. 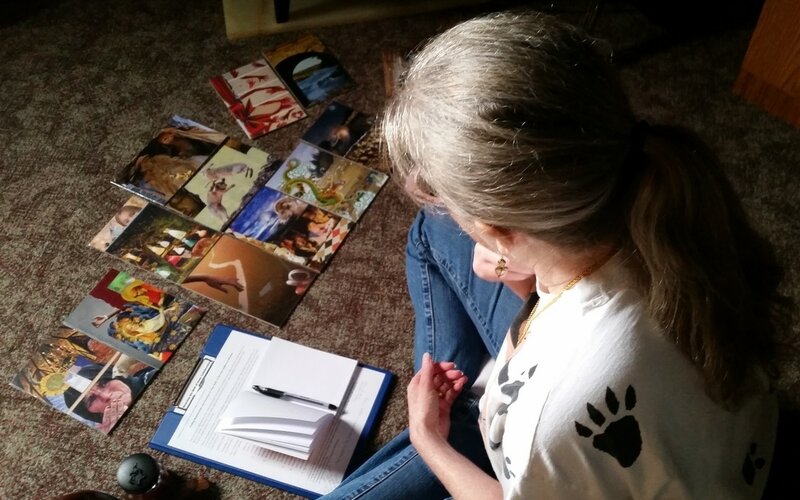 She'll share from her own SoulCollage® deck, and from her years of experience helping others to get the most from SoulCollage®. Read more about Michele as an instructor HERE. There isn't one! You'll receive the materials as a collection of 4 modules; you can review and delve into it whenever you'd like. The online discussions (FB group) for each topic will be ongoing. The substantial written materials will allow you to revisit the concepts and explorations at any later time. Even if you just glance through the material, you are certain to learn novel concepts, gain a new perspective, or identify a crucial Neter in each of the suits. Taken the course before? Join us again for just $20! Registration is open through April 24.